Blairs Windows supply timber windows across the UK and have recently completed the supply of quality traditional sliding sash timber windows to the Clarendon Primary School (Lomond School) in Helensburgh. The project required windows to be replaced with exact replicas with the qualities of a modern high performance window. Supplied with energy efficient Saveheat double glazing, the new windows substantially reduce the school’s heating costs whilst reducing the exterior noise levels ensuring a comfortable classroom environment. It was important to complete the project over the summer break to ensure no disruption during term time. Blairs were sensitive to the importance of this requirement and were able to meet all specification and lead time requirements. 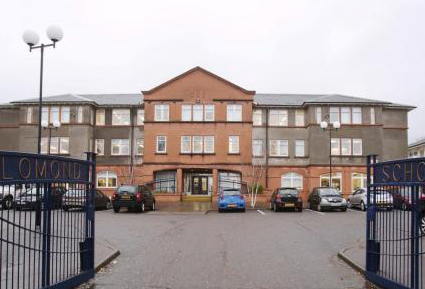 The windows at the school are manufactured locally in Blairs state of the art factory in Greenock helping support the local economy and safeguard many jobs in Inverclyde. Blairs have recently opened a new showroom at their purpose built factory in Greenock and continue to offer an open invitation to visitors wishing to see the latest in timber window and door manufacture, visitors are also treated to a tour of their manufacturing plant. Blairs Windows specialise in both new build and property refurbishment, and with all products being made to measure offer a solution to window replacement programmes to properties of all ages. This along with expertise from enquiry level to project completion ensures excellent value for money from Scotland’s top quality timber window manufacturer. Since the windows have been installed, Blairs have been approached by local residents who obviously feel the Blairs products can enhance their own homes.